Hi guys! 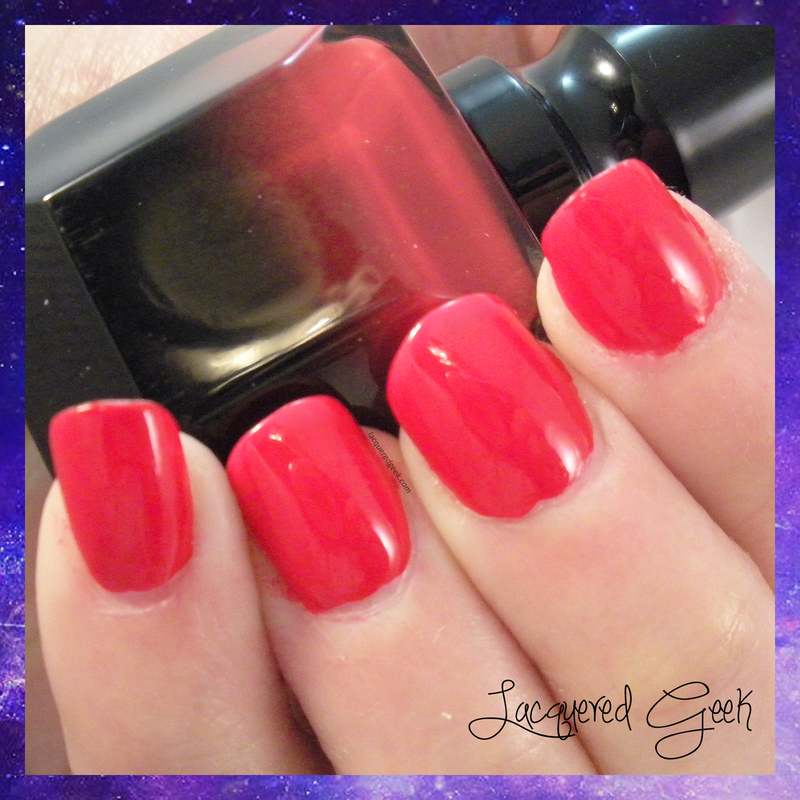 I am sharing swatches of Rouge Louboutin from Christian Louboutin Beaute with you! Last month, I won a gift card from Sephora, and I'd been eyeing this polish since it was announced. I just couldn't get past the price point. Rouge Louboutin retails for $50 a bottle, and that is quite a bit outside my comfort zone for polish prices. But since I had the gift card, I decided to spoil myself a bit - plus I really wanted to see how the polish compared to others! Inspired by the tallest heel Louboutin shoes created, the Ballerina Ultima, this is a pretty classy bottle of nail polish. It's like a little art piece - from the spiked cap to the faceted glass bottle. The bottle is gorgeous, but it is huge! I am still trying to find a place to store my bottle since it definitely will not be fitting into my helmer! A friend joked that I could keep it next to my bed at night to use as a weapon if anyone broke in. Below is a photo of it compared to a standard bottle of polish. The bottle itself isn't too big, but the cap is so tall. I was actually a little scared to paint my nails with it. I'm a total klutz, and I could just see poking myself in the eye with it! But the length of the handle did not make it hard to use at all, and the brush is standard sized. Rouge Louboutin is a classic cool-toned red. 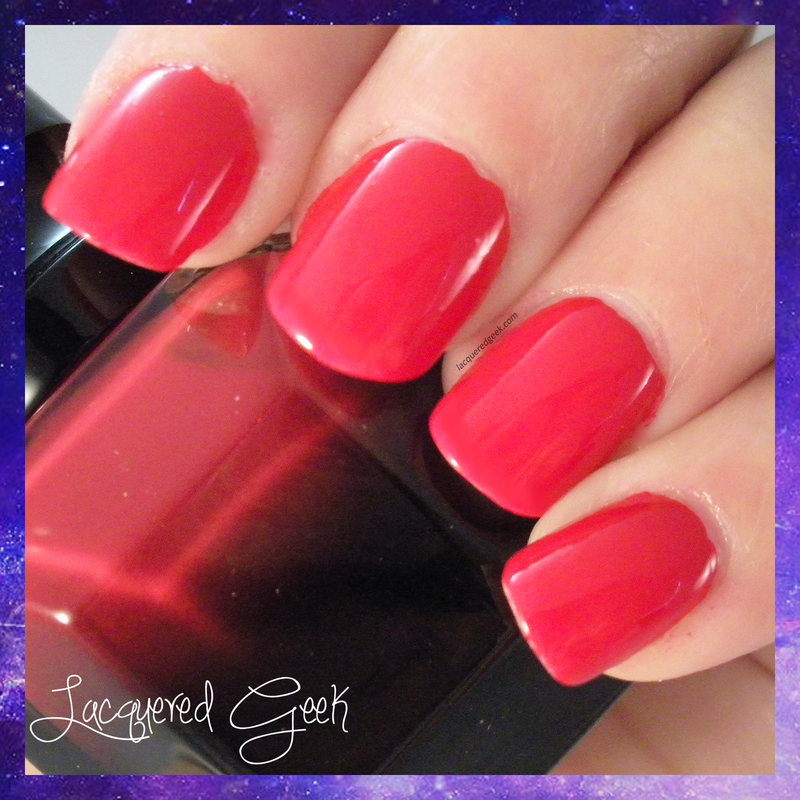 It has an amazingly smooth formula,and just glides on the nail. The polish is self-leveling, and dries pretty quickly. It's highly pigmented, and I got full coverage in one coat. It dries super shiny, and I did not use a top coat for these photos. Despite the high pigmentation, I did not experience any staining on my nails when I removed it. Now for the big questions - do I think Rouge Louboutin had a better formula than a typical salon brand? Yes, definitely. However, I did not see a big difference between the formula on this versus the formula in the bottles of Dior that I have, and those are half the price of this one. Both the Louboutin and the Dior polishes have amazing formulas, with super-rich colors. I didn't notice an increase wear time either in the Louboutin. There are now more shades of the Christian Louboutin Beaute polishes, but I don't think I'll be picking any of them up. I'll grab 2 bottles of Dior instead! What do you think? Do you like to splurge on a signature polish now and then, or do you think it's all hype? And don't forget to enter the giveaway I've got going on, or pick up those daily entries!!! Remember, one of the daily entries is commenting on my new posts! It is beautiful polish.. but I'm one of those super frugal girls who would rather have 10 eh bottles over one super amazing bottle hah! 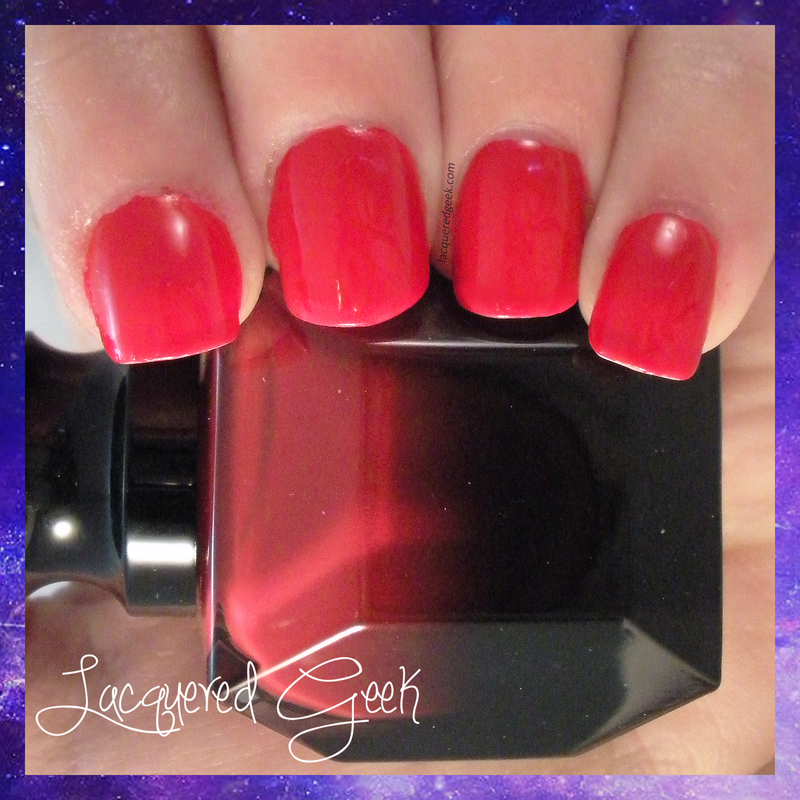 As far as mainstream polishes, it has to be special for me to drop more than $4 on it! I'm a little more comfortable spending more on indies.